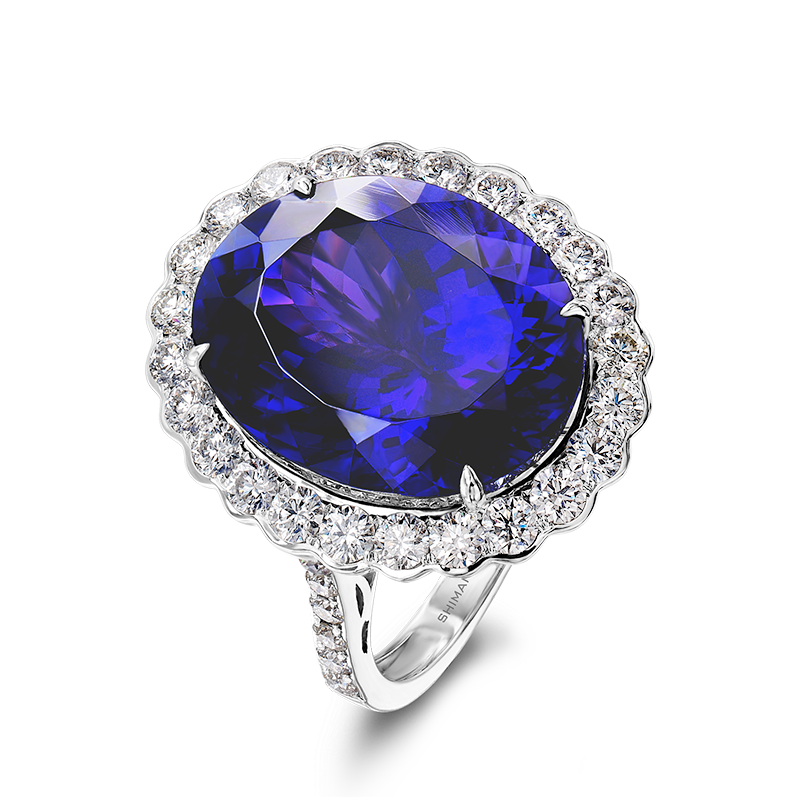 The tanzanite ring shown contains a 21.46ct Oval cut tanzanite claw set in 18K White Gold with semi-tubular set round brilliant cut diamonds. 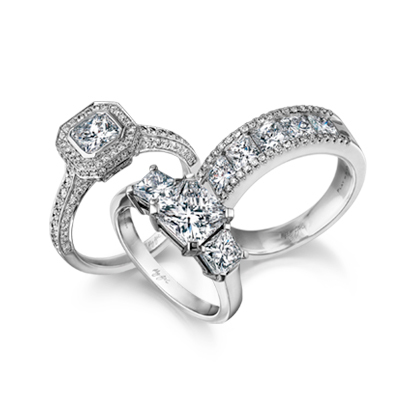 This design is available to order in any finger size in platinum, 18K white and 18K yellow gold. The Ayanda Tanzanite collection is certified in accordance with the Tanzanite International Grading Standard.